The start of the month today marks exactly fifty years since I first entered gainful academic employment. On 1 October 1962 I became Assistant Lecturer in Phonetics at UCL, where I remained on the staff until my retirement in 2006. In LPD I indicate these same differences by the use of spacing. 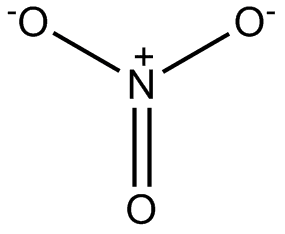 So I transcribe nitrate as ˈnaɪtr eɪt, while for night rate (if that were a headword) I would write ˈnaɪt reɪt, and for Nye trait ˈnaɪ treɪt. You can interpret these spaces as indicating the boundaries of morphemes or (as I chose to) of syllables. The reason we can “hear” these junctures/boundaries is that the choice of allophones is sensitive to their presence/absence. Take another famous pair (one of Gimson’s favourites), great ape vs. grey tape. The t in great ape ˌɡreɪt ˈeɪp is a typical of t in final position: it has little or no aspiration, it causes pre-fortis clipping of the preceding eɪ; it is susceptible in BrE to becoming glottal, and in AmE to becoming voiced (‘flapped’). None of this applies to the t in grey tape (or, if you’re American, gray tape) ˌɡreɪ ˈteɪp, where the t is a typical initial one, being aspirated, not susceptible to glottalling or voicing, and not having any clipping effect on the preceding vowel. If t and r or d and r are contiguous, i.e. have no intervening juncture, then in English they are pronounced together as a postalveolar affricate, as in train, drain, mattress, Audrey, entry, laundry. Compare what happens when they are separated, as in that rain, good reign, what result, saw drifts, ten trips, dawn drips. For more on all this, see my article setting out the syllabification principles I applied in LPD. Furthermore, even when there is a boundary between t or d and r, people are not consistent in always reflecting it in their pronunciation. If I say there is no good reason to think that, I can still sometimes create an affricate out of the last consonant in good and the first in reason, even though there is an undoubted word/morpheme/syllable boundary between them. Similarly with the plosive and liquid in what rubbish!. You may think that all this is rather good news for EFL learners. We can safely encourage them to treat all cases of tr and dr identically, namely as affricates. But that’s to ignore people like my correspondent Jacob Chu, who has been listening carefully to the sound files that come with LPD and is dismayed by what he finds in two words we have been discussing. The main pronunciation listed in LPD for bedroom is ˈbedr uːm. 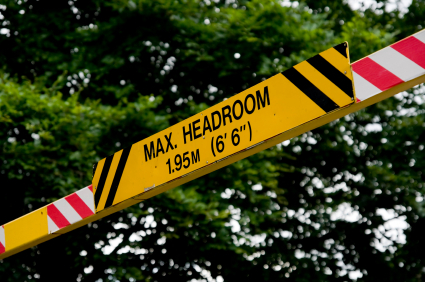 On the other hand, the main pronunciation listed for headroom is ˈhed ruːm and the pronunciation ˈhedr uːm is visibly absent, but the recording shows clearly, for British English, ˈhedr uːm. Please check the recordings from LPD. My query is, how should the discrepancy be resolved? Beyond telling him to get a life (an idiom he might not be familiar with), what can I do but hold my hands up and congratulate him on his diligence and on the accuracy of his observations? OK, I agree: on this occasion the actor who recorded ‘headroom’ in the studio happened to pronounce it as an exact rhyme of (my version of) ‘bedroom’. That’s life. Of course, if I’d been in the studio monitoring the recordings (which I wasn’t, though I was for most or all of those entries in LPD that are not also in LDOCE, and also for some that are), I’d have jumped on it and got it re-recorded. Possibly. Or possibly not. Perhaps I'm just hallucinating, but I think I once read something in Gimson's Pronunciation of English (1994) concerning the expression "at home", where the [t] would sometimes be aspirated by some speakers, as if in "a thome". There are also other well-known cases, of which the most important are "it is" and "it isn't", with strongly aspirated /t/. I see, yes. Thanks a lot, John. I assume this is the difference between the predominant British and the American pronunciations of "at all", which to me sound distinctively different. Or at all, which is normally pronounced ə tɔːl (as if it were a tall). Nitrate/night rate was never a problem in my dialect, affricated tr in nitrate and glottal stop for t in night rate. This sent me to English Pronunciation Illustrated, where instead of great ape/grey tape John Trim devised phrases that allowed for more striking — and much funnier — drawings by Peter Kneebone: a grey tabby ~ a great abbey. The advantage of these near-minimal pairs is that they're not at the mercy of other variables such as speed, formality etc. For me the first is not only devoid of affrication, but also supported by glottal closure. This seems more important to me with d+r, where the affrication of dr is less noticeable. are consistently different — largely on the basis of glottalisation (if that's the right term here). But I only sometimes distinguish headroom/bedroom. Perhaps it's the difference between a mere word/morpheme boundary and the break between syntactic phrases in sawed round. To me, 'be.druːm seems very unnatural, because it implies a short e in an open syllable. Indeed. But no one is arguing for that syllabification. Since you've mentioned Scots a few times before, I'll suggest that some Scots would say something similar to that. Perhaps ['bɛ.drum]. I presume that the Ulster Scots would have a lenghtened first vowel ['bɛ:.drum]. I'm pretty sure I say the -dr- in boardroom, bedroom, headroom and wardrobe all identically.... (American.) In each case, there's no obvious juncture: I say BOAR-droom, BE-droom, HE-droom and WAR-drobe. "it causes pre-fortis clipping of the preceding eɪ"
Does pre-fortis clipping imply the (allophonic) shortening of vowels? Yes, but not "shortening" in the sense that ɪ ("short I") is the short counterpart of aɪ ("long I"), just reduction in duration with no change in quality. That's why we use a special term, "clipping". See LPD etc. Nitrate, night rate, Nye trait -- Listening to myself (mentally), I am certain that unlike John, the first and third are closest in my pronunciation, and differ only in my omission of the final consontant in "trait" : thus I would transcribe nitrate as ˈnaɪ treɪt, while for night rate (if that were a headword) I would write ˈnaɪt reɪt, and for Nye trait ˈnaɪ treɪ. Which accent is this? Even if/when I glottalise final t, I would still distinguish trait and tray, but a web search just now for final-t deletion suggests Dublin English. Some RP speakers still don't add a hypercorrect t at the end. In fact, some speakers of RP have a reduced second vowel in nitrate, too, so all the three are different even without the issue of juncture/boundary and allophones. To Alan : "Which accent is this ?". Home Counties. It was a very long time ago that I learned that the final "t" in "trait" should not be sounded (probably while still at school, so between 49 and 60 years ago), and it is a habit I have carried forward ever since, rather like my pronunciations of conduit and victuals (ˈkʌndɪt, ˈvɪtɘlz, if my IPA is correct). I was taught at a time when the teaching of English (both pronunciation and grammar) was still very much proscriptive/prescriptive; descriptivism had still not reared its ugly head ! @Philip: Sorry, I completely misunderstood. I thought you meant you had a realisation that deleted the t, rather than it being absent in your lexicon in the first place, if that's the right terminology. In Ireland I remember a radio ad for what I was sure was a "grey day hotel"; presumably a place with lots of fun indoor activities in case of rain (which would be useful in Ireland).